Open only in summer, Pets allowed, Hotel Bar, Currency Exchange, Tennis Court, Sports Ground, Parking Lot, Rent-a-car, Personal Safe. Just back form this hotle today, stayed for 2 weeks and thought it was excellent. After seeing some of the reviews from different sites I was very wary about this hotel but I was very suprised. 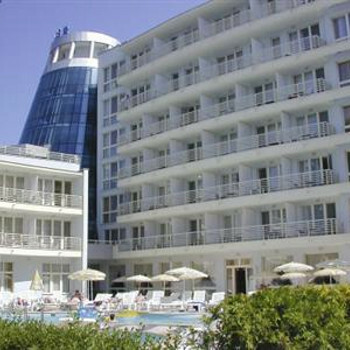 Most of the hotel staff were very friendly, even the security guards and the location is great, just off the main promenade but close enough to all the bars. Disco Orange is just round the corner so not far to stumble home. The only let down was the food, not to my taste but the pizza's were nice and really cheap. But you do get sick of pizza's everyday. I would really recommend this hotel!!! Do not go to this hotel on a half board basis. I went with my two friends on a escapades holiday and we cound't eat the food the hotel provided. They served egg crosiants and tinned hotdogs for breakfast. It was appauling. The hotel itself is ok.we were in a studio type room which was big enough for the three of us. The hotel was always clean.